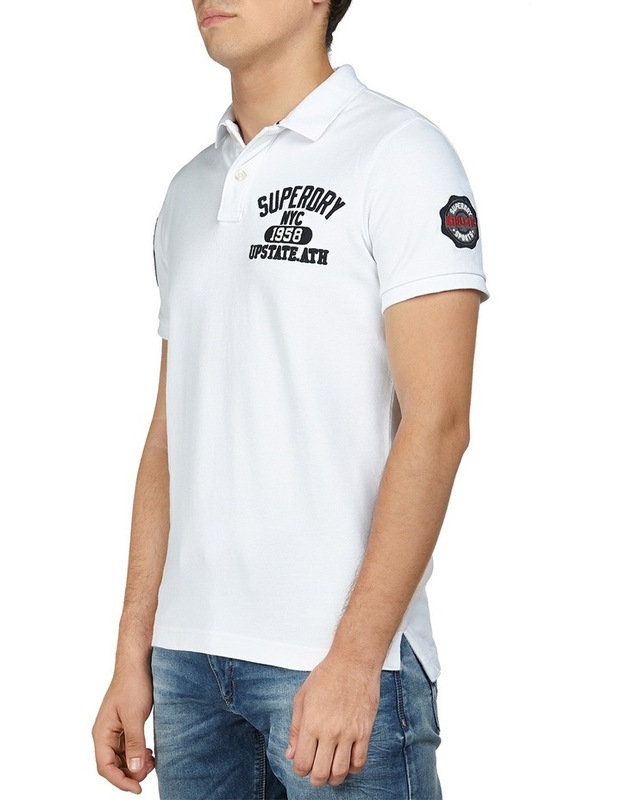 Superdry mens Classic short sleeved Superstate Polo. 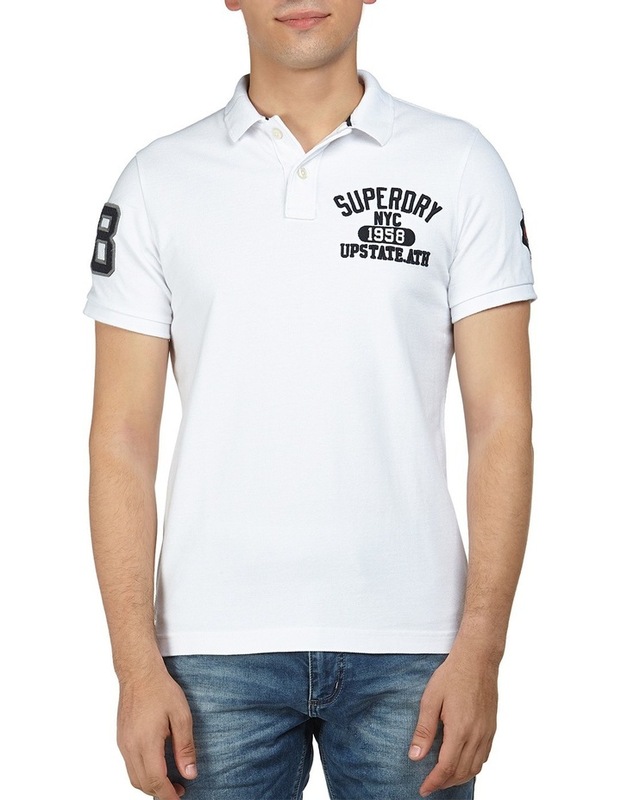 This polo features an embroidered Superdry logo on the chest and cracked number logo on the sleeve. 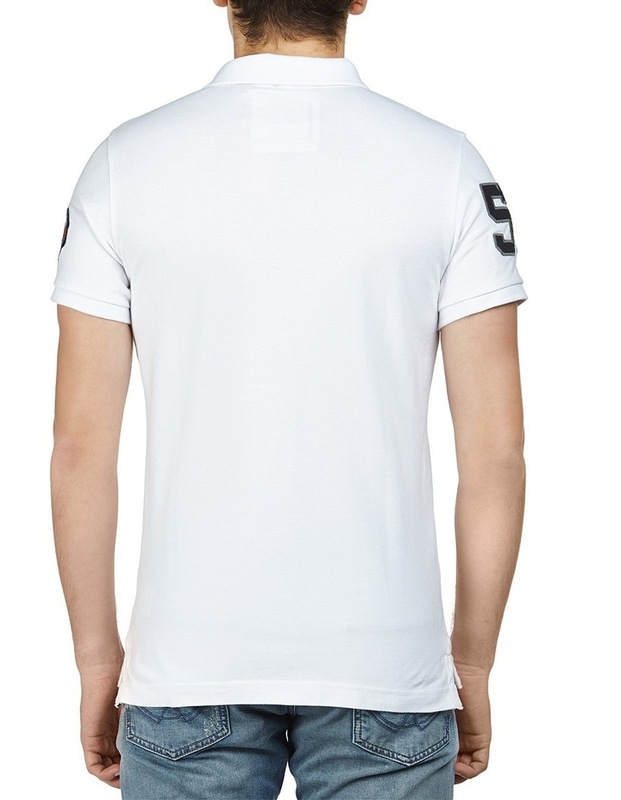 The button down polo has a split side seam hemline and is finished with a Superdry state logo badge on the other sleeve.